How Does My Weight Affect My Hearing Health? More than one-third of adults in the United States are considered to be obese. 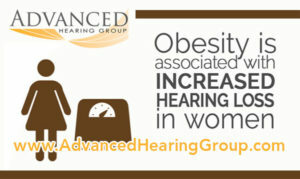 In addition to type 2 diabetes and heart disease, obesity has also been associated with a higher risk of hearing loss. Women especially are at risk. It was discovered that women with a BMI between 30 and 34 have a 17% higher rate of hearing loss than healthy weight women. This rate increases to 40% greater in individuals with a BMI of 40 or higher. Obesity puts excessive strain on the capillary walls, impeding their ability to transport oxygen efficiently. The lack of blood flow and oxygen can permanently damage the auditory hair cells in the inner ear causing hearing loss. People who are obese, especially women with a BMI over 30, are at an increased risk of suffering hearing loss due to lack of blood and oxygen able to be transported to the auditory hair cells. Picture credit to MayoClinic. Eating right, controlling your weight and exercising is an excellent place to start. In fact, regular physical exercise reduces the risk of hearing loss by 17%! If you suspect your hearing has been compromised, call Advanced Hearing Group to schedule an evaluation and a hearing test. As a person who was just diagnosed with tinnitus and some hearing loss, I decided to see Dr. Gary Johnson and discuss if hearing aids would be beneficial to me. Dr. Johnson gave me a thorough examination and evaluation and recommended hearing aids for me to help with the hearing loss and help quiet the tinnitus. I have been wearing my new hearing aids for about 2 months now and I am so happy with them. Dr. Johnson did a wonderful job evaluating what would work for me. He is very pleasant, listens to the needs of the patient, answers all questions and makes you feel very comfortable. 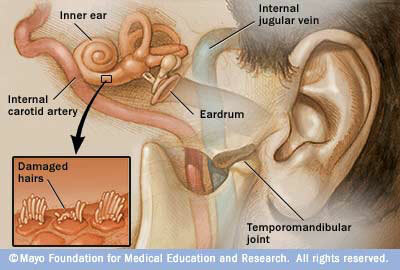 I have been helped with the hearing aids for both my tinnitus and hearing loss. 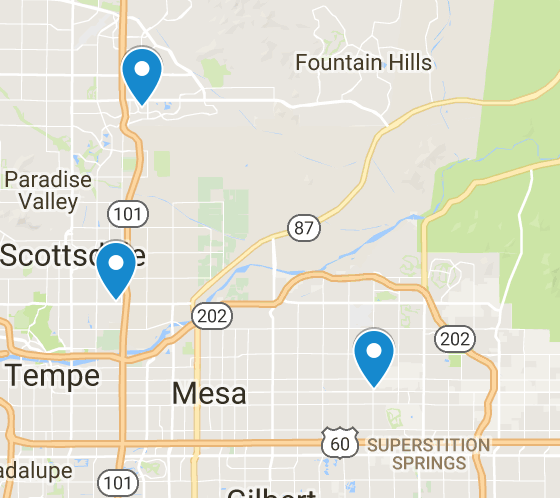 Don’t hesitate to go see Dr. Johnson if you are in need of someone who can help with your tinnitus and hearing problems. He is the best in the business.